a The Husband’s Rights - . A Muslim woman must be careful to her husband’s sexual needs and is recommended to beautify herself for him. If she rejects to answer to his legitimate sexual advances, she would be committing a ugly guilt , unless there is a legitimate excuse, such as being on her menses, making up an compulsory fast she has formerly missed or being ill. The Prophet  said, “If a man calls his wife to bed and she rejects , and then he spends the night angry with her, the angels will continue to curse her until the mofning.” (Saheeh Al-Bukhaaree: 3065; Saheeh Muslim: 1436). 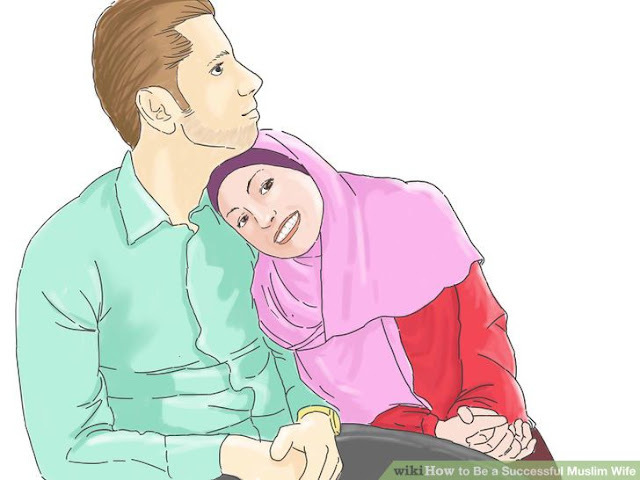 One of the husband’s rights is that she is not permitted to leave the house without his permission, whether she wants to go out for a personal or general need. A woman is recommended to serve her husband in kindness by preparing meals for him and undertaking other household chores.